NDH Medical, Inc. is a provider of world class custom extrusions and contract manufacturing services for the medical device industry. The company provides extrusion services for research and development trials through high volume production. Single-lumen, multi-lumen, paratubing, and co-extrusion (striped and layered) products are available. Tooling design and fabrication is completed in-house providing for quick turnaround on orders and development trials. A wide range of materials are routinely extruded (see the Materials Page for a detailed list). In addition to extrusion, product development services and contract manufacturing programs are available. 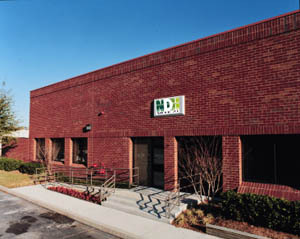 From simple components to complex devices, NDH Medical can assist you on your road to success in the marketplace. Please view the remaining pages of this section for more information about the NDH Medical values and company policies. We are sure you will find our business philosophies to your liking.